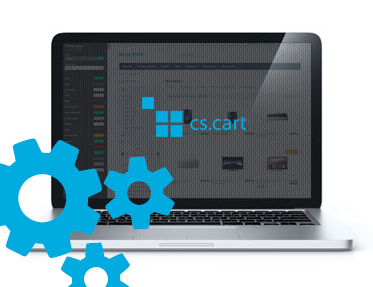 Extension to CS-Cart and Multi-Vendor allows you to manage orders visibility on main page of admin panel. Extension to CS-Cart and Multi-Vendor allows you to manage orders visibility on main page of admin panel. Extension also allows you to create layout "Last orders" in admin panel and set, which orders with which status should be visible, quantity of shown orders and configuration of main tab, where all orders appear. In "General" tab, we can turn off narrowing orders searching, depending from date in right top corner of panel. After marking this checkbox, all orders will be shown. In "Settings" tab we can set orders count in each tab, define if status tab appear in "Last orders" layout and mark, if orders with this status should appear in "All" tab. Normally, orders are downloaded from date range as below. In extension configuration we can turn off time limit and then all orders will be used.